The information is provided only for the Pisamover S.p.A. and not for other websites that may be consulted by the user through links. Following the browsing of this site, data relevant to identified or identifiable persons may be processed. 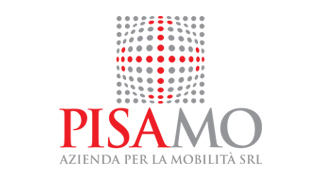 The Personal Data Controller is Pisamover S.p.A., with Registered Office in Via Salaria 1039 – 00138 Roma. The Data Protection Manager can be contacted by email at privacy@pisa-mover.com or by ordinary mail at the address indicated above. The processing operations connected to the web services of this website take place at the aforementioned office of the Data Controller and are only handled by specially designated personnel in charge of the processing. 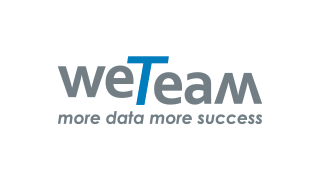 If is necessary, the data can be processed by the staff of the company that takes care of the maintenance of the technological part of the site: WeTeam S.r.l. Via Cesare Giulio Viola, 27 00148 Rome. Computer systems and software procedures used to operate this website acquire, during their normal operation, some personal data whose transmission is implicit in the use of Internet communication protocols. The legal basis of such processing is the legitimate interest of Personal Data Controller to the technical management related to the functionality and security of the site. The totally optional, explicit and voluntary sending of messages via the form and e-mail to the addresses provided on this site entails the ensuing acquisition of the sender’s address, necessary to reply to his/her requests, as well as of other personal data requested by the form or entered by the user in the message. These data shall not be disseminated or disclosed to third parties without authorization. Specific summary information will be progressively reported or displayed in the site pages dedicated to special services. Apart from that specified for navigation data, the user is free to provide personal data contained in any request forms. Failure to provide such data may make it impossible to obtain what has been requested. Personal data are processed by automated equipment only for the time strictly necessary to fulfill the purpose for which they are collected. We apply specific safety measures to prevent any data loss or unlawful or improper use of such data, as well as any unauthorized access. We also inform you that, with regard to the data themselves, you can exercise at any time the rights provided for in Chapter III of the European Regulations. In particular, you have the right to request to the Personal Data Controller access to data concerning him / her, their correction or deletion, the integration of incomplete data, the limitation of processing; to receive data in a structured format, commonly used and readable by automatic device; to object in whole or in part to the use of data, as well as to exercise the other rights recognized by the applicable law. These rights can be exercised by writing to the Data Protection Manager of Pisamover S.p.A., by e-mail to the privacy@pisa-mover.com or by ordinary mail at the address indicated above.